Remember when checking train times required opening an A3 timetable which folded neatly away in your pocket as opposed to whipping out your smartphone and using the latest app? A time where ‘updating your status’ referred to the births, deaths and marriages pages, and tweeting was something that just birds did. As is said all too often, the internet has changed our lives and our vocabulary immeasurably – as a case in point, a recent article featured on BBC News Online, ‘Predicting technology in 2013: Rise of the machines?’ reflects on how the internet has evolved and significant things we should expect to see this year, namely more mobile devices and advanced cloud computing. All of this combines to mean, no, require that the way in which we, as B2B marketers, engage with our chosen audiences has to not only be arguably online-centric, but will also have to evolve throughout the coming months. Your website will almost certainly meet your prospects before you do. 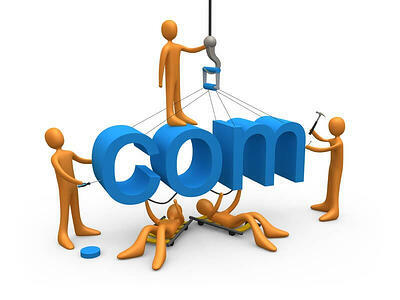 You therefore have no choice but to invest a considerable amount of time (and perhaps budget) into website development. This does not necessarily mean a full-on website refresh and redesign – but it does include SEO, social media (particularly blogging) and the continuous provision of timely content. In other words, your prospects expect a website that goes beyond a catalogue of products and services – they want to see your latest case study, e-book or commentary on the latest industry news, and evidence of your corporate personality. But more than this, they expect to be able to easily navigate through your site and within only a matter of minutes, have a clear understanding of who you are and what you do. Potential prospects will judge your knowledge and professionalism by looking online at your website – it is a brutal pass / fail.